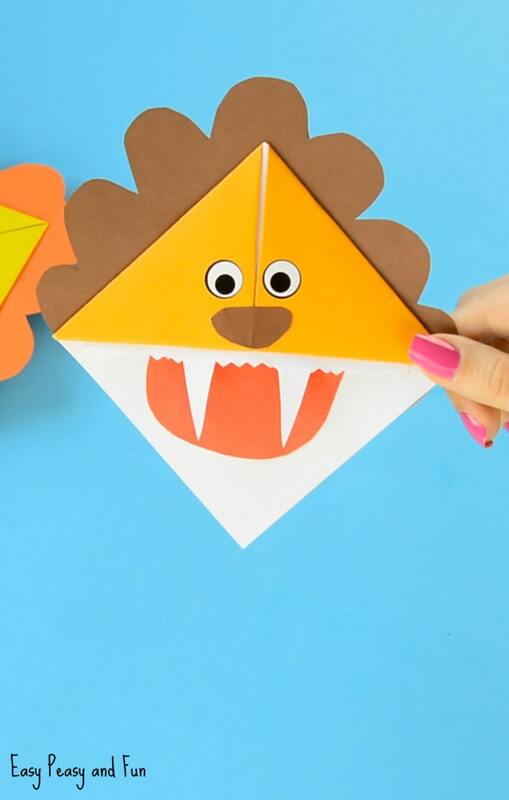 We showed you how to make a tiger one yesterday and today it’s time to make a whole bunch of lion corner bookmarks. 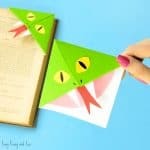 This lovely origami corner bookmark is just waiting to take a bite at your favorite books. Reading books is great! The more your kids read the better (or you read to them). 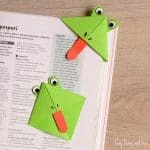 But we do think books can be even more fun if they come with a cool looking bookmark. 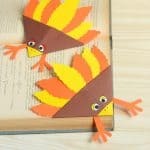 And is there anything better than making a bookmark of your own? 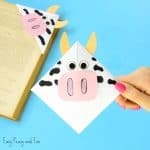 These DIY corner bookmarks are super fun to make. 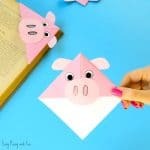 As you only need some basic folds in order to make them, they make for a great origami for kids and beginners. What’s even better is that there are a million ways you can decorate them (one for each book hint, hint). 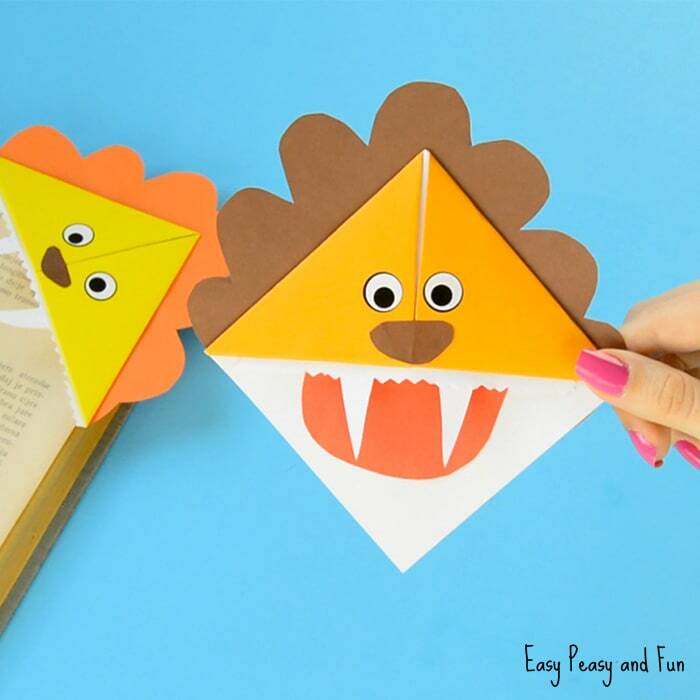 We’ve been venturing into the jungle / safari theme, we already made a fierce looking tiger and now it was time to add the lion corner bookmark to the club (there are a few more to come!). 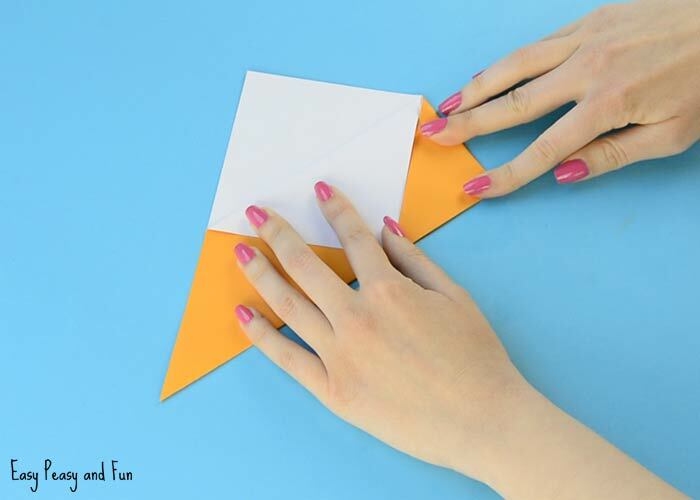 Ready to learn how to make an origami corner bookmark? 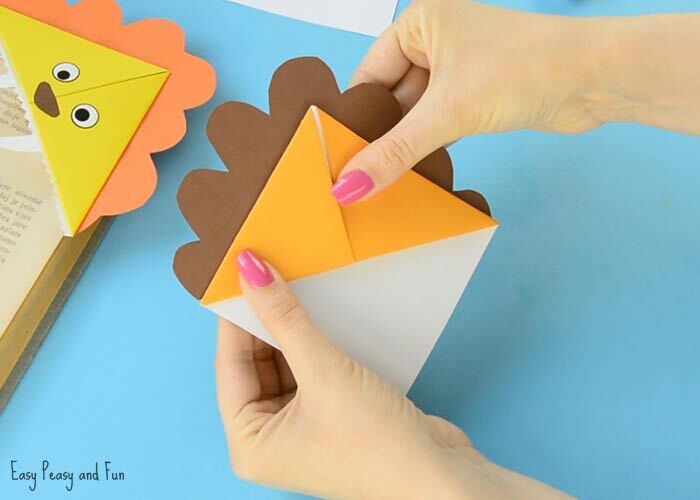 Let’s make one (or ten). 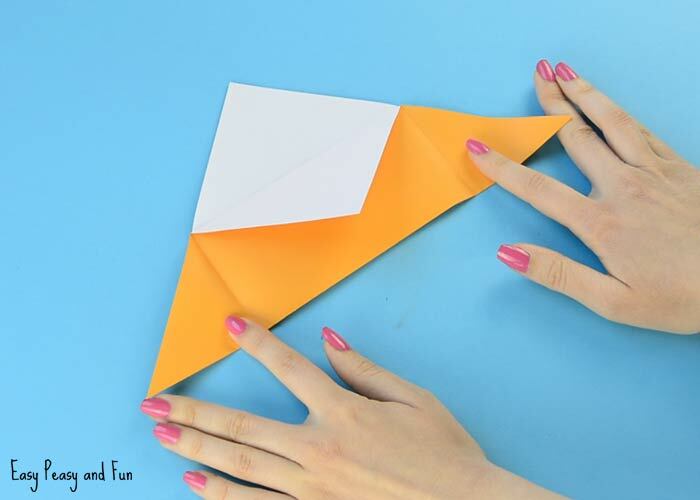 Star by folding the orange origami paper in half to form a triangle (colored side on the outside). 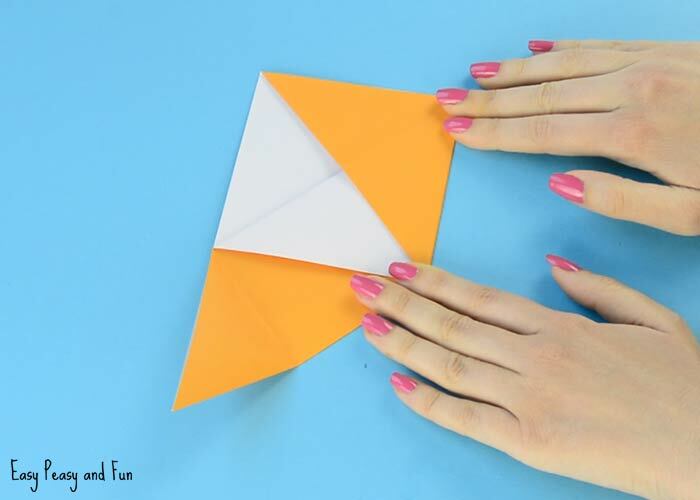 This step can be skipped – it can help younger kids with folding but it isn’t necessary. 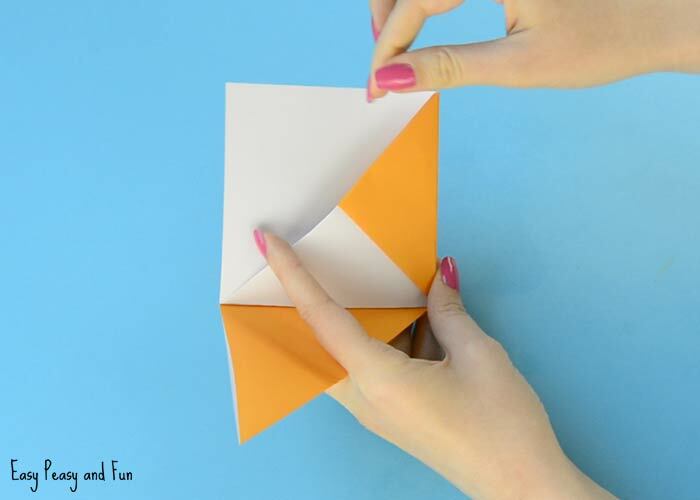 Fold in half again – press at the bottom. This will mark the middle. 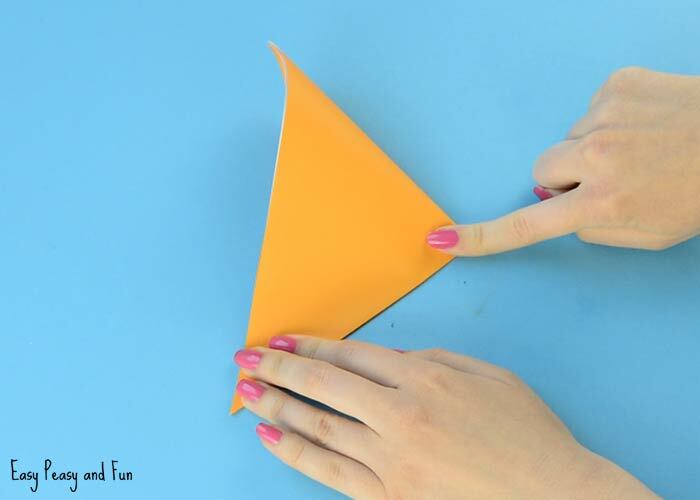 Unfold back to the first triangle. 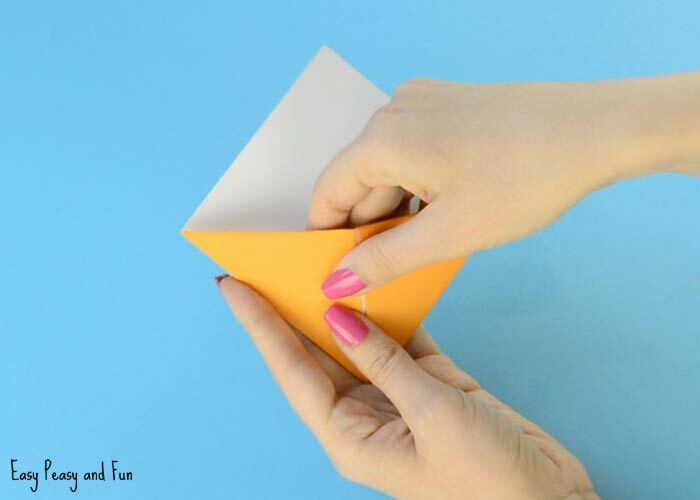 Take one layer of paper – grab the top corner of the triangle – and fold it down to the bottom of the triangle. 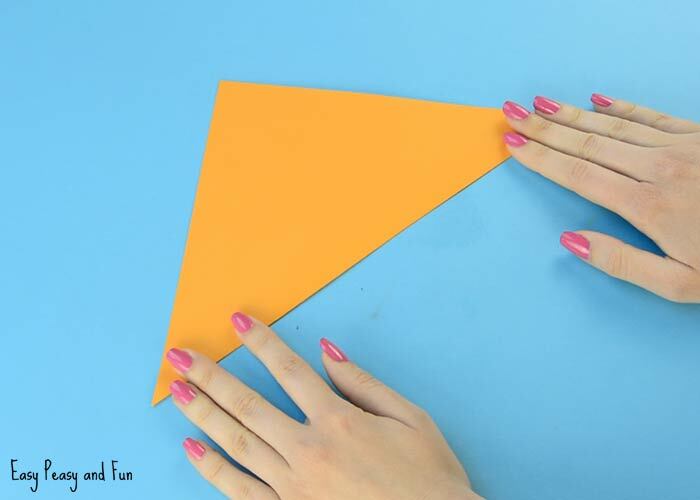 Take the right corner of the triangle and fold it toward the middle of the triangle (at the bottom). Take the right corner again, this time folding it toward the top of the triangle. 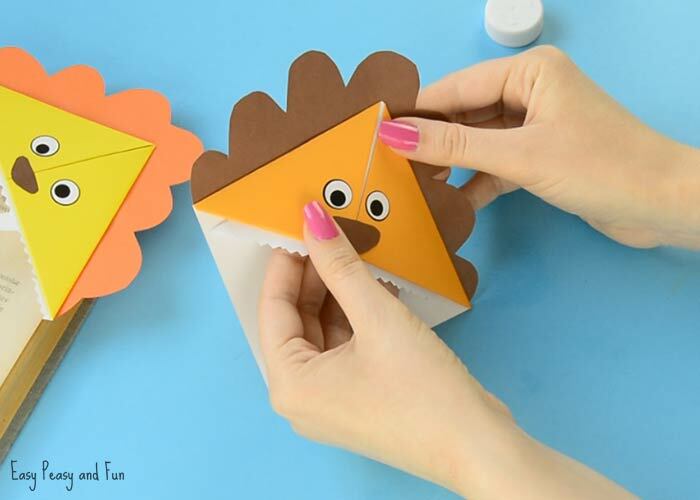 Tuck the flaps into the pocked. 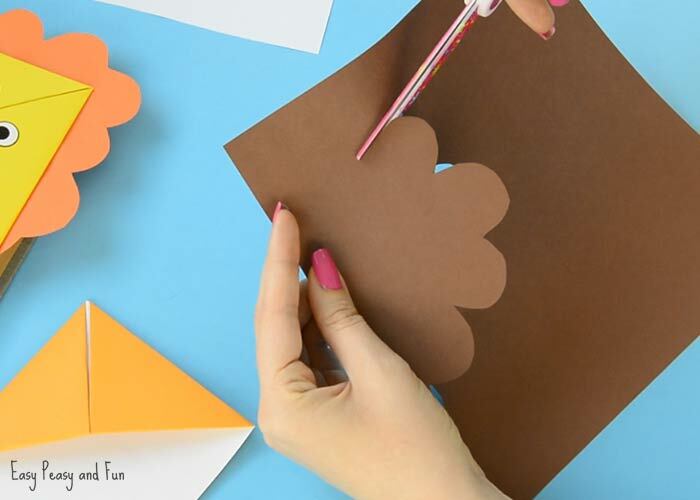 You have your basic corner bookmark design and it’s ready to be decorated. 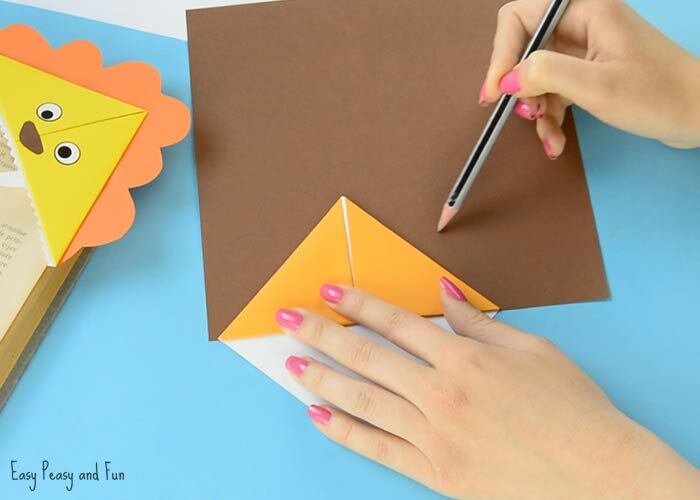 Place the corner bookmark on the brown paper. 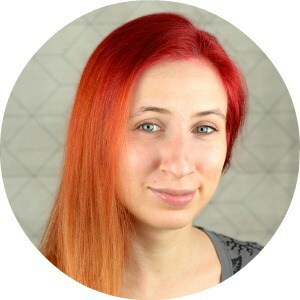 Draw a “mane” around the bookmark. 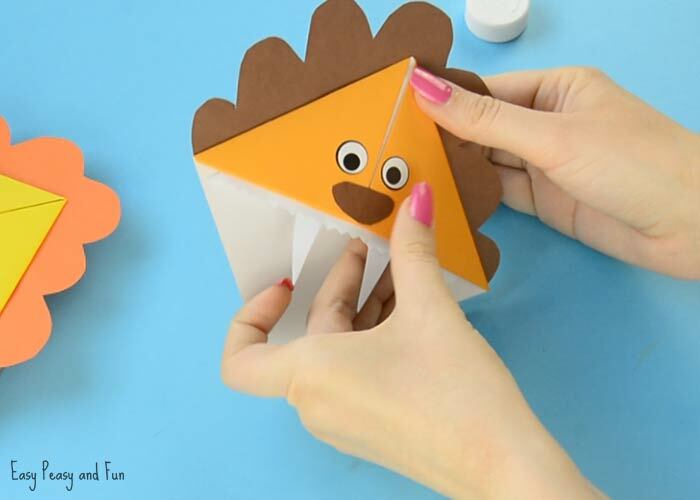 Glue it on the back of the bookmark. 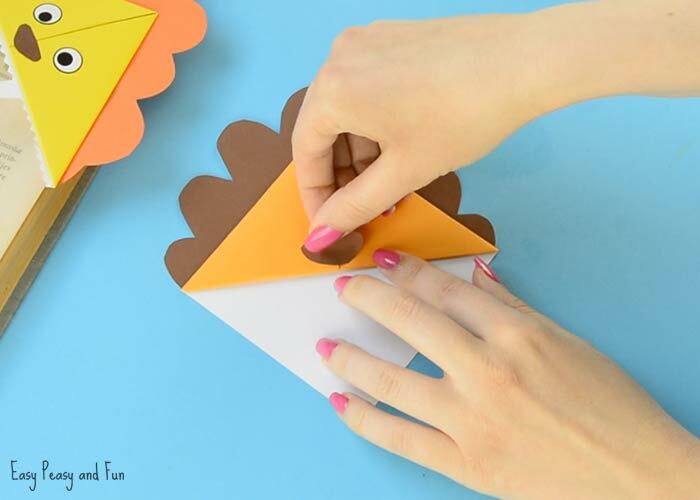 Also cut the snout from the brown paper and glue it onto the bookmark. Draw or glue on eyes. 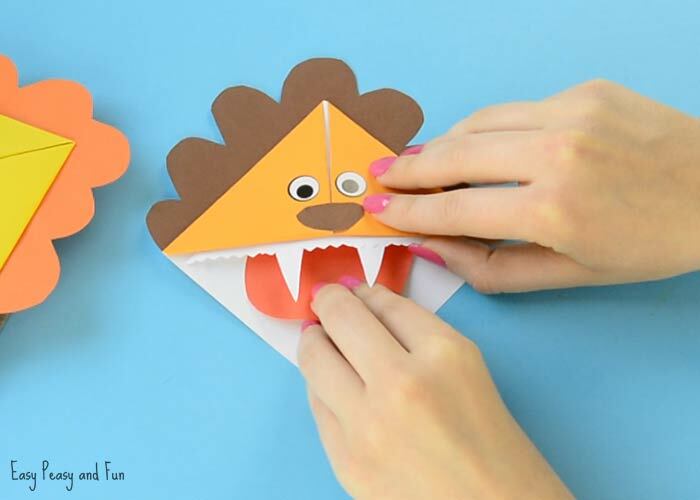 Cut teeth with zig-zag scissors and glue them inside the bookmark. 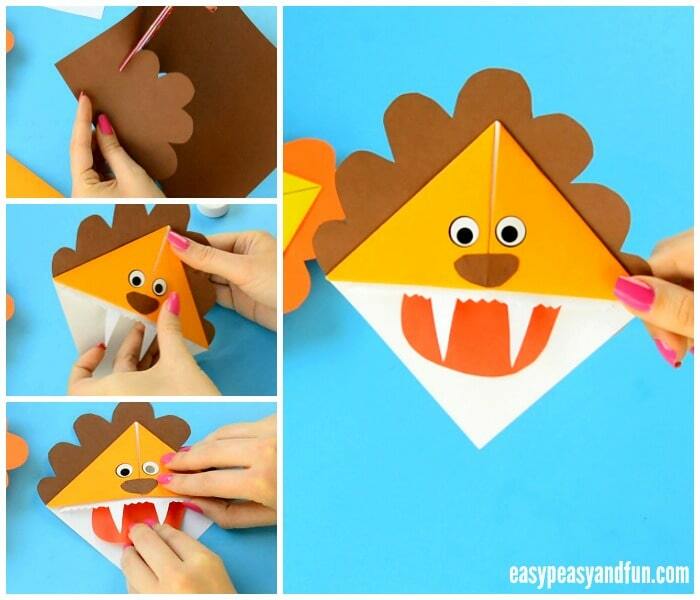 Cut fangs and glue them inside your lion corner bookmarks. 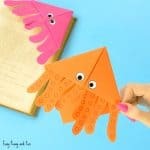 Last but not least, cut tongue out of red or pink paper and glue it inside (to the bottom) of the corner bookmark. There your first of many lion corner bookmarks is complete.